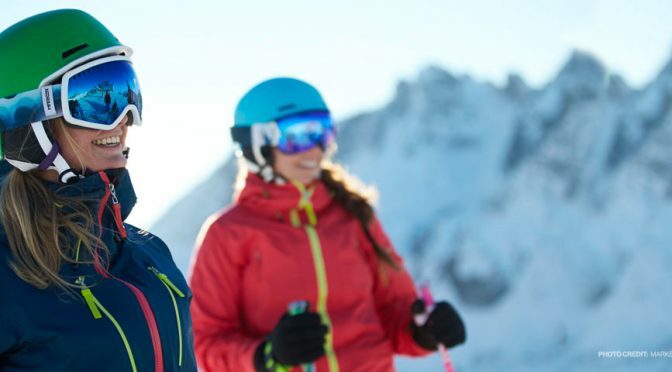 London, UK – Analysts with global technology research and advisory company Technavio forecast the global ski equipment market to exceed US $5.7 billion by 2020, according to their latest report. The research study covers the present scenario and growth prospects of the global ski equipment market for 2016-2020. In order to calculate the market size, the report has taken into consideration the revenue generated from the retail sales of different types of ski equipment to individual consumers, clubs, and sports organizers. According to the report, skiing is a popular sport with over 110 million skiers spread across the globe, as recorded in 2015. In terms of geography, Europe will continue to dominate the skiing market during the forecast period and is likely to occupy around 59% of the total market revenue. Europe is the world’s biggest ski market, Technavio researchers say, and records the largest number of ski visits annually of any region with the largest population of skiers and the highest concentration of resorts. The Alpine countries of Austria, France, Italy, and Switzerland account for about 75% of all ski visits in Europe, Technavio’s report indicates. Technavio analysts indicate that increasing use of helmets, growing ski infrastructure and increasing initiatives to encourage participation will drive the growth trend through 2020. In most locations, the use of helmets while skiing is not mandatory. Despite this, helmet use continues to rise. In Canada, the usage of helmets increased from 30% in 2003 to 85% in 2015. Every year, the U.S. reports more than 16,000 head injuries from winter sports which include skiing, sledding, snowboarding, and snowmobiling. “Awareness about head injuries in this sport is driving the use of helmets across the world, with a significant increase in the sale of helmets witnessed in the Alps, France, Italy, and Austria,” says Mantri Charan Kumar, a lead analyst at Technavio for outdoor gear research. Skiing infrastructure is being developed across the globe as it promotes tourism and thus helps drive the economy of a region or country. In South Korea, a major skiing development is underway to support the Winter Olympics in 2018. The government invested US $10 billion in the project that includes ski lifts and slopes. Even China, which is hosting the Winter Olympics in 2022, is seeing an increase in ski resort development. As of 2016, China has around 10 million skiers and the government has set a goal to increase this to 300 million ahead of the Winter Olympics in 2022. Technavio analysts perceive Asia as an untapped market to facilitate global growth of the ski equipment industry. Ski resort development continues to extend facilities in established ski regions as well, including in Europe and North America. “Thus, the global large-scale development of infrastructure is driving people to indulge in skiing sports, which in turn, will help the ski gear and equipment market to grow,” says Mantri. Many ski countries are expanding initiatives to increase participation in skiing and reap economic benefits. In 2015, the ski industry contributed around US $5 billion to Colorado’s economy. Skiers not only spend on equipment, but also on lodging, transport, dining and more. Ski & Snowboard Australia (SSA), the competitive snow sports governing body in Australia, in 2016 launched Little Shredders, a program to teach children the basics of snow sports without actually visiting the slopes. This program aims to engage more than 850,000 children from 5,700 schools across Australia, making it the country’s largest school-based program ever. SSA secured special funding from the Australian government to increase the participation of school children. In 2015 in New York, the Governor’s office promoted the Ski NY Spring Break campaign to attract tourists to ski in the Adirondack region. World Snow Day, launched in 2012 by the International Ski Federation (FIS), was organized across 39 countries with over 200,000 participants. Events included skiing competitions, recreational skiing, skiing lessons and more. Organizers expect 580,000 people to participate in World Snow Day 2016, with 625 events spread across 42 countries.